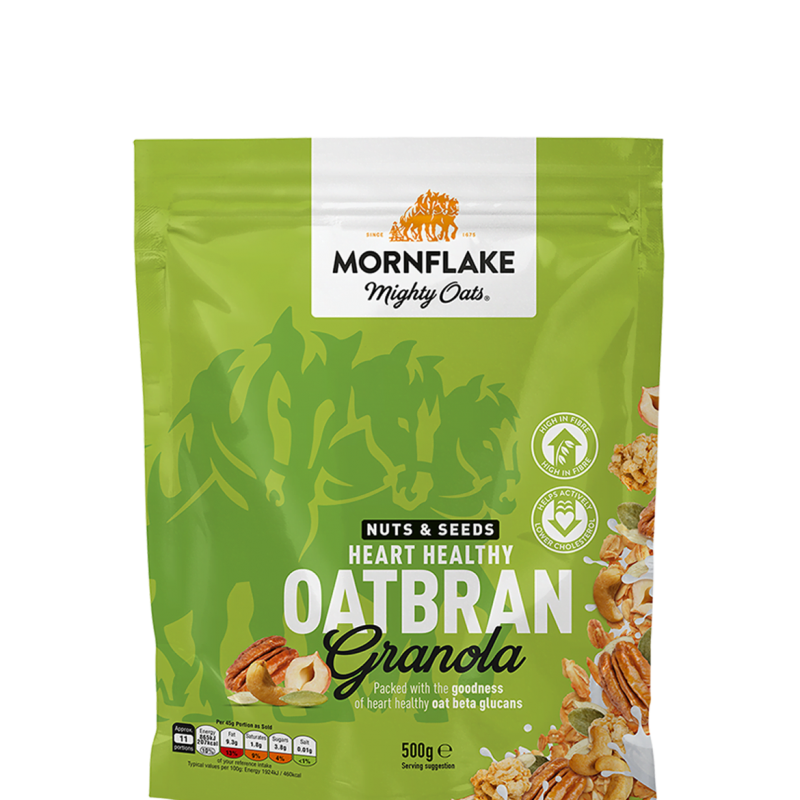 Our delicious Nuts & Seeds Oatbran Granola is the perfect way to get that added Oatbran into your diet. 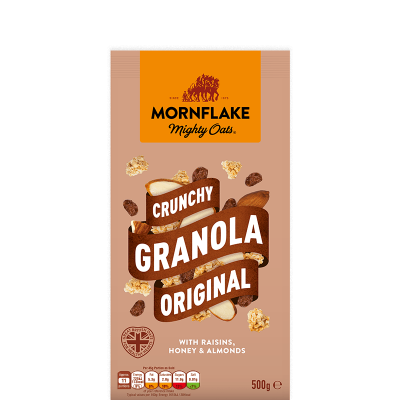 Made from carefully selected hazelnuts, almonds and honey this mouthwatering Oatbran Granola is packed in a resealable pouch so you can keep your cereal fresher for longer. 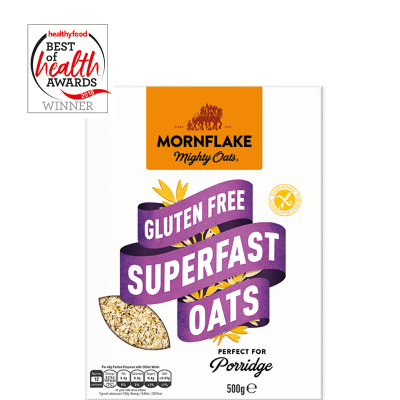 Also, not suitable for MILK, WHEAT, BARLEY, SPELT or RYE allergy sufferers due to the methods used in the manufacture of this product. 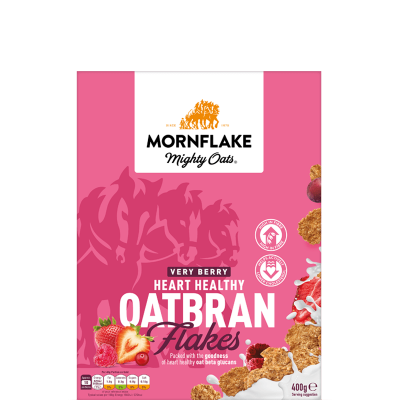 *As part of a varied and balanced diet and a healthy lifestyle, oat beta glucans have been shown to help lower blood cholesterol. Blood cholesterol lowering may reduce the risk of coronary heart disease. 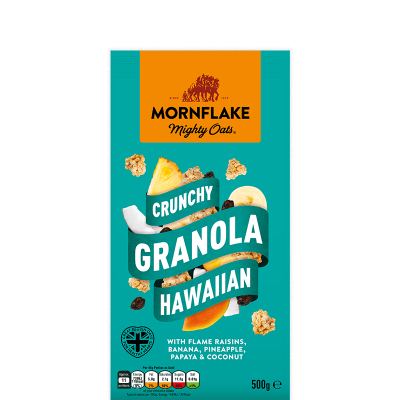 One 45g portion of Mornflake Nuts & Seeds Oatbran Granola provides 1.2g of beta glucans from oats, which is 40% of 3g, the suggested daily amount.